There is a reason why Houston Astros fans gave Alex Bregman a standing ovation when he came up for his first Major League at bat in July, 2016. He arrived to the big leagues with high expectations. Houston selected Bregman with the No. 2 overall pick in the 2015 draft. A native of New Mexico, he had excelled at every level of baseball. In high school, in 2010 as a sophomore at the age of 16, Bregman became the first high school player to win the USA Baseball Player of the Year Award. In 2011 as a junior he batted .678, while setting a New Mexico season record with 19 home runs. In three years of college at LSU, Bregman was voted the 2013 National Freshman of the Year by Baseball America, won the 2013 Brooks Wallace Award, as the country’s best college shortstop, and was a two-time All-American. 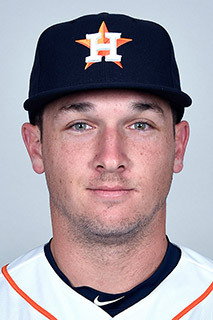 Bregman then shined in making a quick rise through the Astros’ farm system. He made his debut with the Astros on July 25, 2016..